Taglines: Man's colony on the Moon... a whole new generation has been born and is living there... a quarter-million miles from Earth. 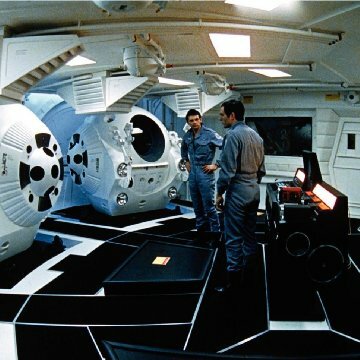 Evidence of Stanley Kubrick's attention to detail: there are visible replacement instructions for the explosive bolts in the ejection apparatus of the pods. 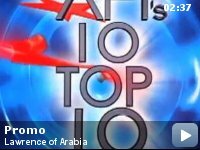 Revealing mistakes: The pacing of the interview on "The World Tonight" is evidently that of an ordinary conversation, not one with 7 minute delays edited out. Sometimes reading the user comments on IMDB fills me with despair for the species. 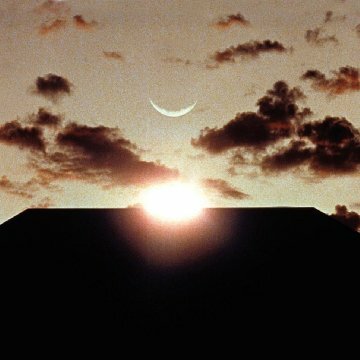 For anybody to dismiss 2001: A Space Odyssey as "boring" they must have no interest in science, technology, philosophy, history or the art of film-making. Finally I understand why most Hollywood productions are so shallow and vacuous - they understand their audience. 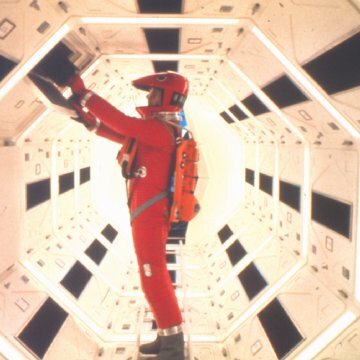 Thankfully, those that cannot appreciate Kubrick's accomplishment are still a minority. Most viewers are able to see the intelligence and sheer virtuosity that went into the making of this epic. This is the film that put the science in "science fiction", and its depiction of space travel and mankind's future remains unsurpassed to this day. It was so far ahead of its time that humanity still hasn't caught up. 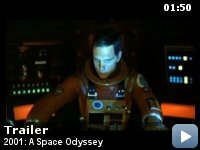 2001 is primarily a technical film. The reason it is slow, and filled with minutae is because the aim was to realistically envision the future of technology (and the past, in the awe inspiring opening scenes). The film's greatest strength is in the details. 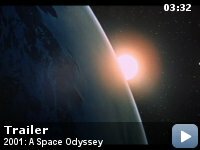 Remember that when this film was made, man still hadn't made it out to the moon... but there it is in 2001, and that's just the start of the journey. To create such an incredibly detailed vision of the future that 35 years later it is still the best we have is beyond belief - I still can't work out how some of the shots were done. The film's only notable mistake was the optimism with which it predicted mankind's technological (and social) development. 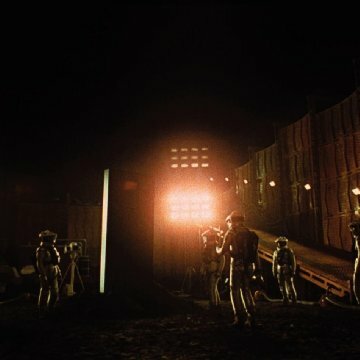 It is our shame that the year 2001 did not look like the film 2001, not Kubrick's. 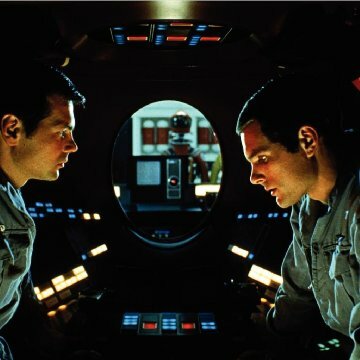 Besides the incredible special effects, camera work and set design, Kubrick also presents the viewer with a lot of food for thought about what it means to be human, and where the human race is going. Yes, the ending is weird and hard to comprehend - but that's the nature of the future. 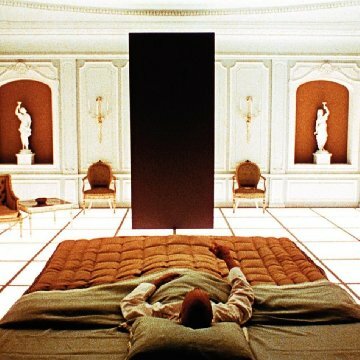 Kubrick and Clarke have started the task of envisioning it, now it's up to the audience to continue. There's no neat resolution, no definitive full stop, because then the audience could stop thinking after the final reel. I know that's what most audiences seem to want these days, but Kubrick isn't going to let us off so lightly. I'm glad to see that this film is in the IMDB top 100 films, and only wish that it were even higher. Stanley Kubrick is one of the very finest film-makers the world has known, and 2001 his finest accomplishment. 10/10.